Howdy folks, and welcome to the Games Acquired 2018 thread where we share our latest gaming acquisitions! As the resident bad-financial-decision-maker of the forums, I figured it was appropriate that I start the thread this year as I did last year. Feel free to share as little or as much as you want in any format you want (within reason). Below are links to previous years' threads if you need an example. Elkin gonna list five games on January 1st. Not this year, brah. I'm cutting back since I'm trying to buy a house. Still 2017 but screw it. It's pretty much over. 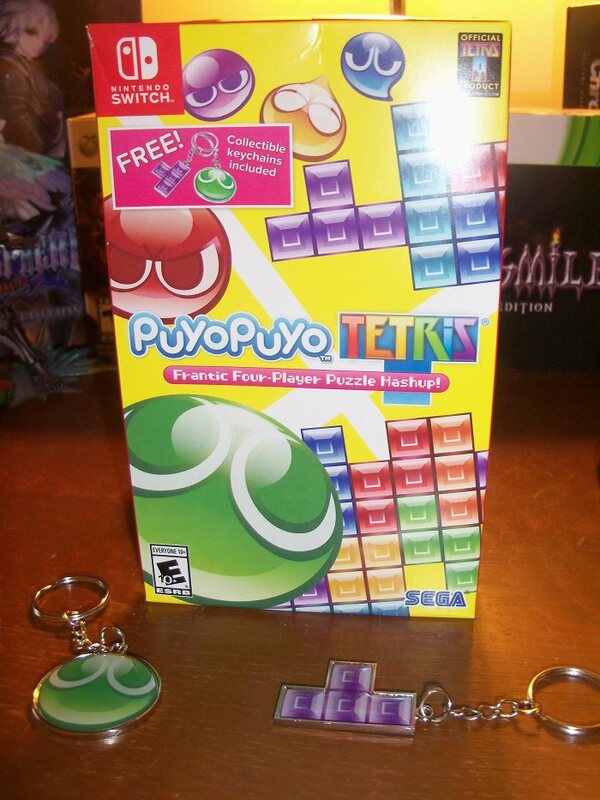 I didn't spect to get the version with the Keychains. I just won a contest where I won a 20 dollar Eshop card. So I got Top Hunter Neo Geo and Riptide GP Renegade and Pulstar Neo Geo. Bought myself a Switch. It’ll be here Friday from amazon. I plan to get Mario Odyssey and download Snipperclips and a few other cheap games. I’m thinking Mighty Gunbolt Burst and maybe Vs Super Mario Bros.
Segata wrote: Still 2017 but screw it. It's pretty much over. What the heck?!!! I just realized you were the person that got this after I mentioned buying it from Toys r us. They canceled my copy! ^ Wow, wierd. I ordered it after you. Anyway, I just got Resogun for $3 on PSN sale. Segata wrote: ^ Wow, wierd. I ordered it after you. I actually called Toys r us to see if there was anything they could do for me and the woman I got was extremely friendly and helpful. She gave me a coupon so if it comes back in stock I can get it at the discounted price. Unfortunately I looked and it’s not even listed on their site anymore so I don’t think they’re going to restock it. However the coupon she gave me doesn’t appear to have any restrictions so I can just use it on something else. Pretty cool that she did that given they had no obligation to do anything.